I know we’ve talked about them before, but if you have more to say about Confirmation names, please do! And if you think this article would be helpful to anyone making their Confirmation this spring, please share it (I wrote it with teens in mind). 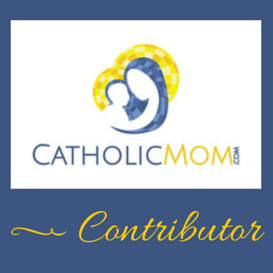 You all know I’m struggling with these Planned Parenthood videos so you shouldn’t be surprised that my August column at CatholicMom.com (up today) tackles the issue again (my previous post here on the blog, I would imagine Planned Parenthood fears names, was the most shared of all the posts I’ve ever written, by a landslide, so I know you’re all feeling it too): Planned Parenthood vs. the Holy Name of Jesus. 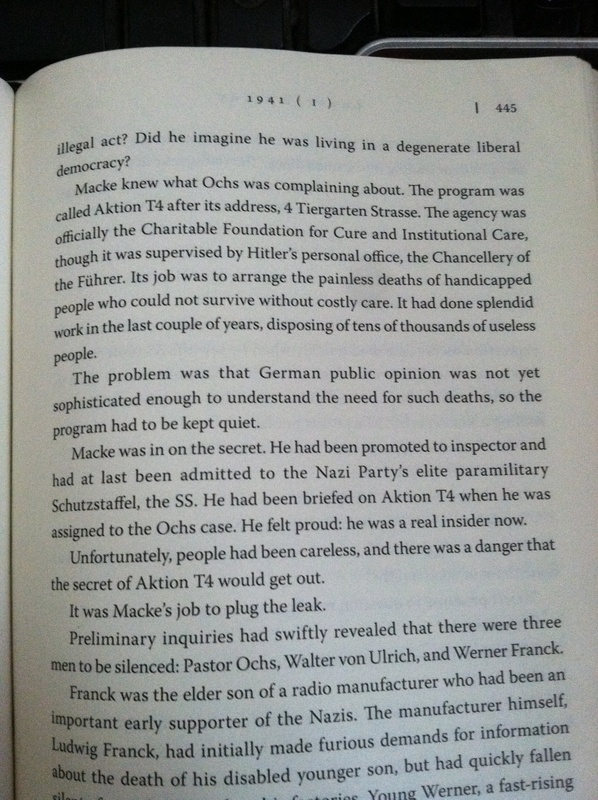 This particular bit is about how the Nazis rounded up disabled children — and adults too, though it doesn’t reference them in this particular passage — but most of the German citizens either didn’t know it or didn’t believe it. 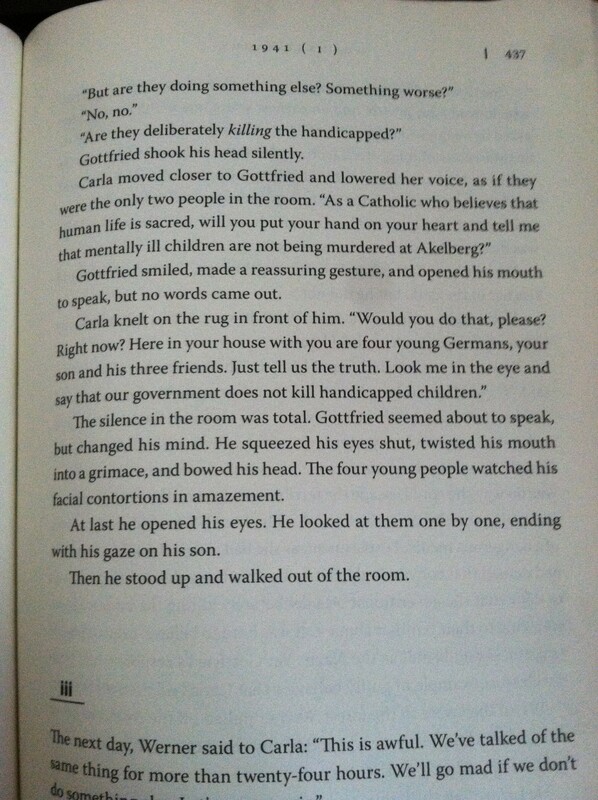 Of course parallels have been drawn for a long time between the Holocaust and abortion, but still I was struck by the similarity between what I was reading and what Planned Parenthood (and all abortionists) is and has been doing. In fact, our government does sanction the killing of handicapped children. Healthy children too! The particular horrors have been kept quiet for some time, and there are those (one example here) that seem to think the same as what’s being said in this passage — that the graphic revelation of horror shouldn’t change hearts because we need to be “sophisticated” enough to understand the need for this “necessary” evil. God help us all, in Jesus’ name. I was doing a little reading on the Holy Name of Jesus — teachings about It, devotion to It, etc. 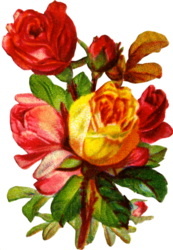 — and discovered that, though many saints loved and promoted the Holy Name (St. Ignatius of Loyola is a notable example, having chosen the monogram of Jesus’ name — IHS — for the symbol of his Order, which he named after Jesus as well [the Jesuits]), there was one saint who rose head and shoulders above them all as the one most known for his devotion to and promotion of the Holy Name: St. Bernardine of Siena. 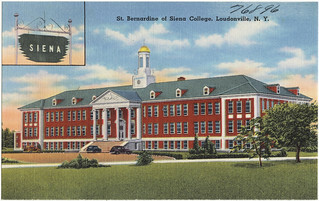 St. Bernardine of Siena College, Loudonville, N.Y. by Boston Public Library (2011) via Flickr, CC BY 2.0. How cool to discover that my school’s patron was a superfan of the Holy Name?? So this isn’t really a name spotlight, because Bernardine is kind of … out of fashion? Even among Catholics who go bananas for heavy duty saint names. This is really more of a Holy Name of Jesus post, a note on one of the many awesome things I discovered about it. Which St. Bernardine, being a saint and a lover of the Name, would probably prefer — having Jesus be the focus. 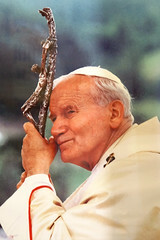 Like how St. John Paul the Great would put the crucifix in front of him, so when people looked at him they had to see Jesus first. Luxembourg-5151-Pope John Paul II by Dennis Jarvis (2013) via Flickr, CC BY-SA 2.0. 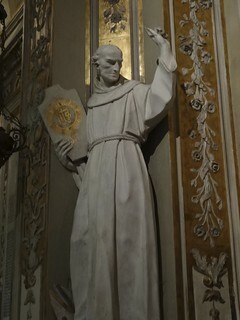 I love too that St. Bernardine’s partner in crime good was St. John Capistran — one of the friars that I particularly loved during my time at Siena was a Fr. Capistran. So powerful! We could all use a little of that, right?? St. Bernardine, pray for us! Protect us from all evil, in Jesus’ Name. IHS and St. Bernardine of Siena by John Donaghy (2013) via Flickr, CC BY-NC-ND 2.0. I’d been composing this post in my head all morning, and when I sat down just now to write it, I logged into Twitter to access the link to an article I wanted to reference here, and saw that the fifth Planned Parenthood video has just been released (warning: graphic). I briefly skimmed the beginning of the article, stopping before I got to any graphic visuals, and yes, it’s truly awful, and I’m glad to join in the outrage in the way that a name blog can. I hadn’t given one thought to the idea that Cecil had made such huge headlines because he had a name (and all that a name implies) before reading this, but it makes sense. Knowing one’s name is what makes a person — or in this case, a lion — emerge from the nameless hoards as an individual. It’s like a sea of body-shaped gray-scale shades until names become known, and then faces emerge, detailed and clear and in color. It’s an individual marker for an individual, an entity separate from the crowd. “The little boy in the most recent undercover Planned Parenthood videos from the Center for Medical Progress has been referred to as “Eleven Six”, meaning that he was aborted at 11 weeks 6 days gestation. His tiny body parts are easily identifiable in the horrific videos as they are sorted in order to be sold. “We ask Namers to register and then add names in a way that shows reverence for the lives of the aborted babies. Each name registration is accompanied by some concrete gesture made by the Namer in honor of this particular child. Because names are that important. How different it is to say, “These are the aborted babies: Daniel, Jayden, Marisa, Benjamin, Keisha, Trey, Moses, Ava, Chloe …” than to say, “Fifty million babies have been aborted.” (It’s actually closer to 60 million. God help us.) Even I, a lifelong ardently pro-life pro-lifer, get lulled into an almost settled unhappiness when faced with the abortion statistics (all numbers, of course) instead of the devastation and horror I should always have when presented with this information. But now, when I think of Emmett? I’m going to think of that one individual baby, and the gruesome specifics of his death, and the injustice and evil of it all.